You’re playing a 5 handed $5,000/$10,000 cash game holding 77 in the small blind. An aggressive player raised you pre-flop and you are the only caller. 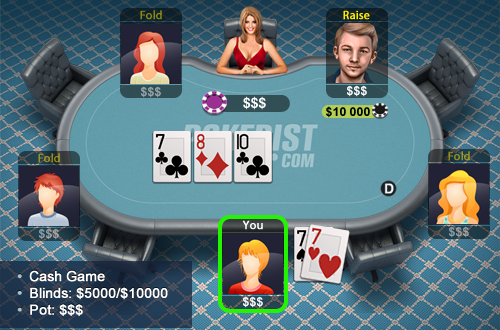 The flop comes 7810 with two clubs, you check and your opponent raises.